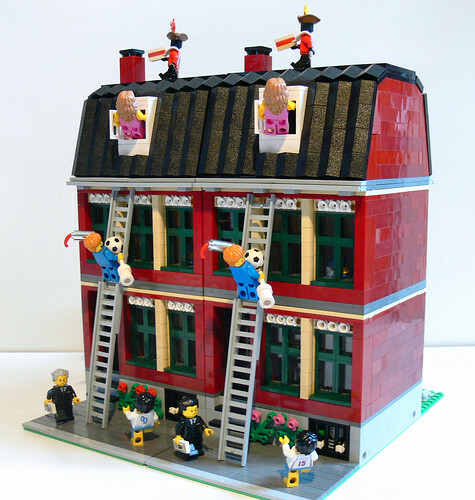 Brick Town Talk: Contest: Find the 20 differences - LEGO Town, Architecture, Building Tips, Inspiration Ideas, and more! The design of these buildings is just fantastic, and you certainly can't go wrong with that dark green and dark red clashing together. Also make sure to visit the contest over at Flickr! Very cool. Those houses are indeed cool! too bad about everyhing being double.. but i guess thats the contest?